Doctor Who closes off another season with the Doctor’s return to his home planet Gallifrey and revelations about the Hybrid that has been referenced all season. I’m torn over this episode as it does a lot of things very well but completely undoes the moving and powerful death of Clara back in “Face the Raven“. Well, not completely but she’s definitely not dead yet and doing that robs that moment of some of its power. The Doctor’s decision to use his people in order to cheat time and take her away from the moment she dies makes a lot of sense. He has been consumed by guilt and grief ever since she died and those feelings have had 4.5 billion years to fester inside him to the point where he is hell bent -hence the title- to prevent that from happening. With so much time to mull it over he can easily come up with a solution. I found it odd that Clara wasn’t more upset with him at first for not heeding her orders to not avenge her. She specifically told him to get on with his life and move on but it’s clear that he hasn’t done that so she should at least have mentioned it. She does ask him why he did this but it’s more curious than angry. I loved the Doctor’s answer “I have a duty of care”. “Hell Bent” is a very appropriate title as the Doctor takes no time to really celebrate the fact that he was able to pluck Clara out of that moment. His mind is very much on task and devoted fully to it. He gives Clara a lot of vague answers over what he has done and goes down the old path of acting smart by telling her facts about where they are. She is pretty much her old self by not accepting it and doing everything she can to get the answers that she feels she needs. It is well established that the Doctor is always running from something. This theme is repeated here as he runs away from the truth of the situation. Clara’s death is a fixed point in time so cannot be changed no matter how much he wants to. He tries to beat that by running to the very end of the universe in an effort to make the cosmos let go of this inevitability and let her resume her life. It’s a long shot and I think the Doctor knows it but he seems insanely hopeful that the universe will suddenly recognises that it owes him one and grant him his wish. I was actually completely on board with the Doctor running around completely delusional. After 4.5 billion years this is the best idea he could come up with so surely it has to work since all his crazy schemes tend to work. The idea of thinking things over for a long time has been used before in the show such as in “Forest of the Dead” where he knew that he would figure out a way to save River Song because he has the time to do so. Another example is “Day of the Doctor” where he spent all of his lives running the calculations to help him save Gallifrey in the first place. Past experience tells the Doctor that when he spends a long time thinking of something then he will definitely solve the problem. It’s absolutely not the case here but it’s interesting that he refuses to admit that to himself. 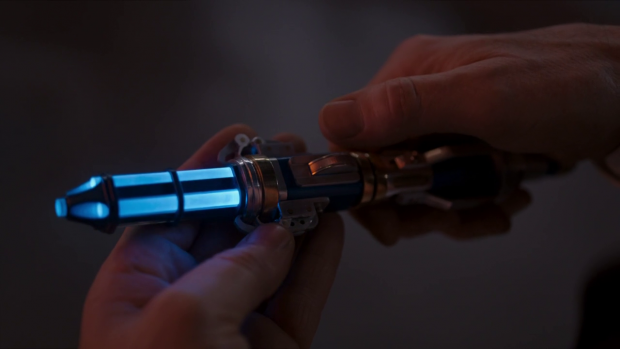 It was difficult for me to accept that the Doctor would compromise his principles even if that means saving Clara. He shot another Time Lord in order to get what he wanted and that’s just completely out of character no matter how desperate he is. Fair enough, he knows that the man will regenerate -into a woman no less, another seed that there will be a female Doctor- but still the Doctor doesn’t shoot people and that shouldn’t change. Once he finally accepts that Clara can’t be saved in a way that lets them travel together he seems to think forgetting all about him will solve the problem in some way. I’m not sure how but I’m willing to accept that he is clutching at straws here. She is unwilling to lose all those memories that she has of him and I can understand why as her time with the Doctor has given her a confidence that she didn’t know she had. She’s seen and done things that she could never hope to explain to anyone and to lose that is worse than losing your life as far as Clara’s concerned. Initially I felt that it was a complete ripoff of the way that Donna left as the Doctor erased her memory to save her life. Using this again to have another companion leave would have been very cheap so I’m very glad that’s not how it happened. Flipping it so that the Doctor forgets about Clara is a nice twist as it qualifies as an act of kindness on Clara’s part. She knows that she has to die so gives the Doctor the chance to move on with his life without being burdened of the memory of losing her. Whether forcing someone to forget you is the right thing to do or not is completely up for debate but there’s no doubt that Clara thinks of it as an act of kindness. The episode was cleverly scripted to make the audience think that the conversation in the diner was the Doctor telling a clueless Clara the story of herself as if she was a different person so that she would know of the adventures they had in some way. Having it be the other way around the whole time was clever. It seems that the memory of her can’t be ruined entirely as he references the adventures they had but only seems to remember what happened with selective gaps where Clara is concerned. He knows that someone was there but can’t create an image in his head. As he talks to her in the diner he definitely seems haunted by her in a lot of ways. She is a ghostly figure in his past that he can’t assign any physical traits or personality to. I do wonder if this is worse than remembering everything. It is somewhat poetic justice for the Doctor to get a taste of his own medicine -yes, the pun is intentional- as he would normally be the one doing this to others rather than allowing it to be done to himself. The moment before his memory was erased where he repeats the oath he took to Clara as a reminder of everything he stands for was excellent. It’s almost as if he wanted to make sure he didn’t forget that but Clara clearly uses it for inspiration. As for Clara’s real exit after her fake one back in “Face the Raven”, I am in two minds about it. On one hand I appreciate the poetic nature of her survival. She is living between heartbeats with her entire fate paused. There’s an inevitability attached to her next heartbeat that will serve as her final one. She does say that she will one day return to the moment of her death but decides to defer that for a while so that she can travel with Ashildr -or me- in another stolen TARDIS. The woman who died and the woman who lived sharing adventures together has a certain poetry to it as well. On the other hand I think that her exit is a complete cop out. I criticised the last season for Clara basically becoming the Doctor and it seems that Steven Moffat has heard similar criticisms from fans -he probably doesn’t read this website- and uses this episode as something of a response to that. If we don’t like that she acts like the Doctor in most episodes then he will pretty much turn her into one. She has a TARDIS, a companion, relative immortality and a thirst for adventure so she is exactly what people tend to associate with the Doctor. I don’t think it’s a good idea to have Clara flying around the universe as another Doctor like figure nor do I feel that it’s a satisfying ending for her character. Her objective as the Impossible Girl was always to save the Doctor and for a while I thought that this was going to cap that off. It seemed that removing the Doctor’s memory but allowing him to find out that there was a Clara and how much she meant to him was a way to let him move on unburdened by guilt before she went back to her death as she is fated to do. It would have been a fitting end for her and would have been consistent with the other versions of her that were created as a result of her being the Impossible Girl. For a while I thought that the Clara in the diner was another one of her copies. As predicted the reveal of the truth of the Hybrid was underwhelming. Moffat never sticks the landing when it comes to his continuous arcs and this is no exception. There have been lots of theories flying around from the Doctor being the Hybrid to it being some sort of half Time Lord/half Dalek abomination that would be unstoppable. This episode even adds fuel to that fire by almost reminding the audience that the Doctor was mentioned to be half human in the film that introduced Paul McGann to the canon. It never quite mentions it but the almost reference is enough to get those in the know thinking along those lines. It was clever to have the Doctor be in the dark about the Hybrid but managing to convince the Time Lords that he knew what it was in order to get what he wanted from them. His mention of prophecys being rubbish as they never give useful information was really amusing and very consistent with every prophecy that has been used on this show. Having the Hybrid be Clara and Ashildr was completely stupid. For starters, a hybrid isn’t two things. It’s a combination of two things so it’s wrong from that perspective. Sure, prophecys are rubbish but that doesn’t mean that having the Hybrid not be a hybrid at all is any more satisfying a reveal. Also, the bit about the Hybrid standing in the ruins of Gallifrey doesn’t happen at all. Not even on a symbolic level. Maybe it hasn’t happened yet and there’s some resolution to this story yet to come but it’s definitely a completely underwhelming reveal. The information adds absolutely nothing to the episode and makes me think that the doom filled teases of the Hybrid were only there to make us think that it was building up to something exciting when it definitely wasn’t. The return of Gallifrey was handled really well. It didn’t go as I expected it to but completely fit with the Doctor as a character. He doesn’t storm the city and make demands or react with any kind of anger. He simply sits with the people and waits for those in power to come and get him. Thanks to the Time War he has built up quite a reputation with the people who are more than happy to shelter him, feed him and defend him when people with guns come calling. It’s interesting that the troops refuse to shoot him because of his reputation during the Time War and how easily they turn on Rassilon (now played by Donald Sumpter instead of Timothy Dalton). The Doctor knows that they won’t fire on him and says everything he needs to in hushed tones with powerful facial expressions. His only request of Rassilon is to get off his planet and this is completely backed up by everyone else. He instantly becomes the President of Gallifrey and doesn’t even need to lift a finger to get that result. It’s clear that Rassilon was ruling through fear but people trust the Doctor more than they fear him. Capaldi’s understated performance as he patiently waited for everyone to follow him was perfect. I really liked the creep factor in the Cloisters of Gallifrey with the appearance of the Dalek, Cyberman and Weeping Angels left down there to rot. The scenes of Clara and the Doctor moving through them were appropriately tense and added an ageless mysticism to Gallifrey. This episode feels like it gave the Doctor something of a soft reboot in terms of reverting back to being a version of himself that is free from a lot of the pain that he has gathered over the years. His objective on Gallifrey after saving Clara is to steal a TARDIS and run away just like he did right at the beginning, he puts on a “very Doctory” coat as Clara puts it and has a brand new Sonic Screwdriver to call his own. The Doctor has basically relived the earliest days of his adventures and it has reinvigorated him to approach his travels with renewed zeal. It may not have been the most satisfying ending for Clara but this episode marked a new beginning for the Doctor. Resetting him to almost factory settings would be a good opportunity for Steven Moffat to turn over control to a new showrunner but it seems he’s going to be around for at least a while longer. Based on how this season has gone, I’m actually alright with that. Season 9 comes to a close with an episode that does some things really well but drops the ball on some elements. The Doctor’s decision to take Clara from the time of her death in an attempt to save her goes a long way towards undoing her powerful sacrifice. I like that he would spend 4.5 billion years thinking of a way to save her and giving the plan a try as soon as he gets free. Having time to think things over and come up with a solution has been used before on the show so it’s consistent with the Doctor’s character to work this way. 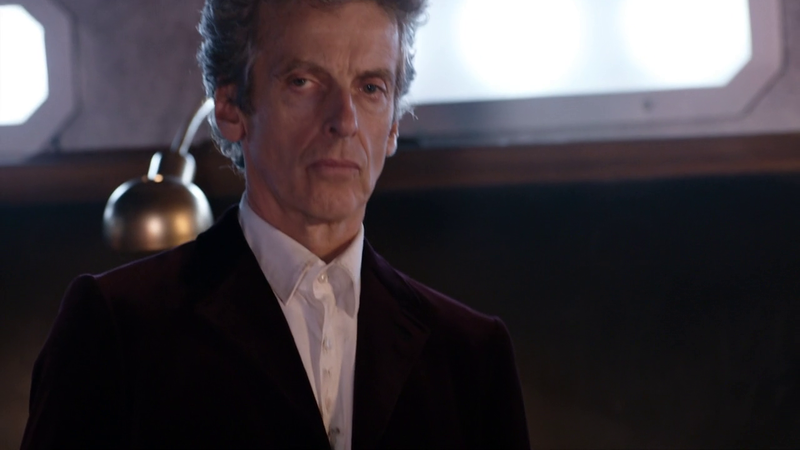 I found it odd that Clara wasn’t more annoyed with him as she specifically ordered him not to avenge her and move on. He clearly has not heeded this order so I would have expected her to be more annoyed with him. The common theme of the Doctor running away from things is continued here as he runs away from the truth of the situation. Clara’s death is a fixed point in time so can’t be altered. He seems to think that he can do anything and delusionally convinces himself that he can. It’s interesting that he refuses to admit that to himself. Once he accepts that he tries to cheat it again by erasing her memory. Something that she insists that she does not want and refuses to let him. 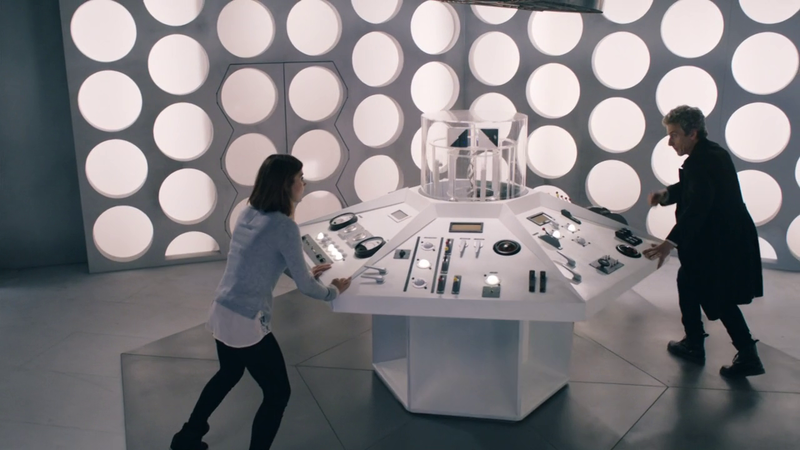 Instead, the Doctor’s memory of Clara is erased. It’s an act of kindness from Clara’s perspective as the Doctor can move on without the guilt associated with losing her preying on him. 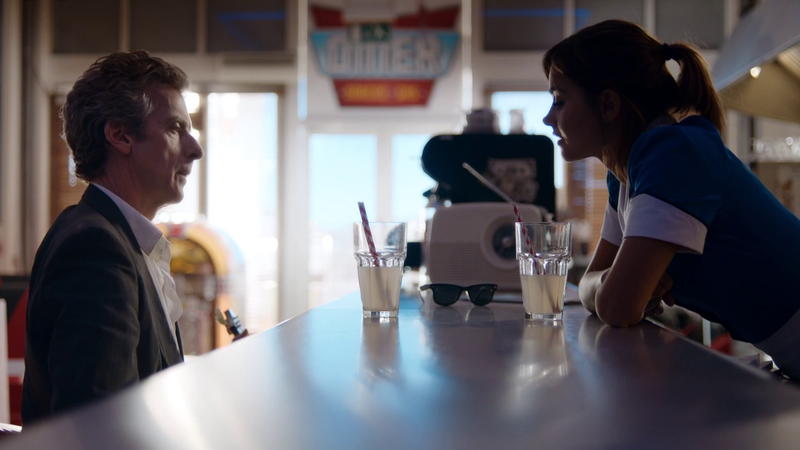 The episode was cleverly scripted to make the audience think that the Doctor’s conversation with Clara at the diner was built around her not remembering him when it was actually the other way around. 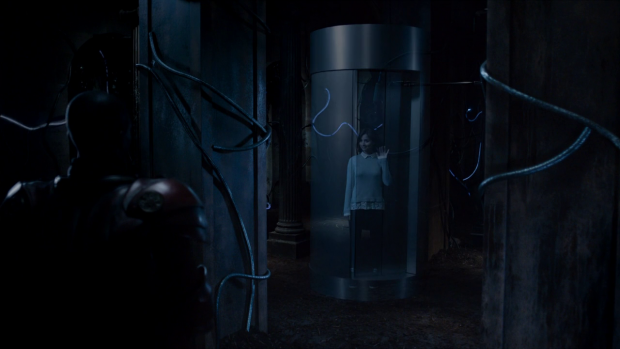 Clara makes sure the Doctor knows about her but doesn’t have any of that emotional baggage. It can be argued whether it’s right or not but Clara definitely believes that it’s an act of kindness. Having Clara’s exit be her flying around the universe having adventures with her companion Ashildr is a complete cop out. It robs her sacrifice of a lot of its power and it feels like Steven Moffat did this to annoy those who criticised the series for basically turning her into the Doctor last season. Now she has most of those traits associated with the Doctor and flies around in a TARDIS having adventures. A more fitting end would for her to make sure the Doctor would be fine before going back to her inevitable death. The reveal of the Hybrid was predictably disappointing but in a more stupid way than I could have imagined. Clara and Ashildr being the Hybrid together makes absolutely no sense as a hybrid is a combination of two things. They are two people, not a combination of two people so they are not a hybrid. It doesn’t add anything to the episode either so just falls flat. 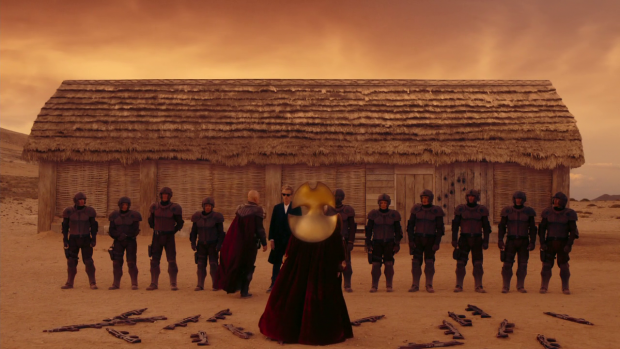 The Doctor’s return to Gallifrey was handled really well. He didn’t immediately storm the city to make demands. The Doctor waited for those in authority to come to him and relied on his reputation to get him control of the planet. People are afraid of Rassilon but trust the Doctor more so are satisfied that he will protect them. I liked the creep factor in the Cloisters of Gallifrey. The scenes of the Doctor and Clara traveling through them were appropriately creepy and the enemies stuck there gave Gallifrey a sense of timelessness. In a lot of ways this episode give the Doctor a soft reboot. He repeats his early feat of stealing a TARDIS and goes off on his adventures with a new sonic screwdriver and a renewed zeal. It may not have been the most satisfying ending for Clara but marked a new beginning for the Doctor. Restoring the Doctor back to factory settings would be a good opportunity for Moffat to hand over showrunning duties to someone else but if he sticks around for a while then I would be alright with that based on this season. 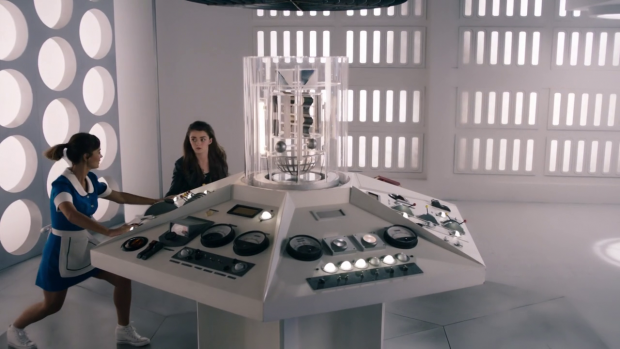 I think the hybrid that was mentioned in this episode isn’t Clara&Ashilder, it’s actually Doctor&Clara. Yes, you’re right. The whole thing was a set up by the master.